Go on a Candy Cane Hunt! “Look, I found one!” Excited giggles followed as they raced towards the red and white candy hanging from the bare branches of the apple tree. The kids were on a candy cane hunt. One of our favorite kids Christmas activities of all times is this simple Christmas scavenger hunt. It all started the day the kids pulled out the card saying “Go on a candy cane hunt” from our Christmas Countdown Calendar. In no time, they were outside, giggling, and having fun helping each other find each red and white striped candy. Candy cane activities are a fun way to celebrate the season. 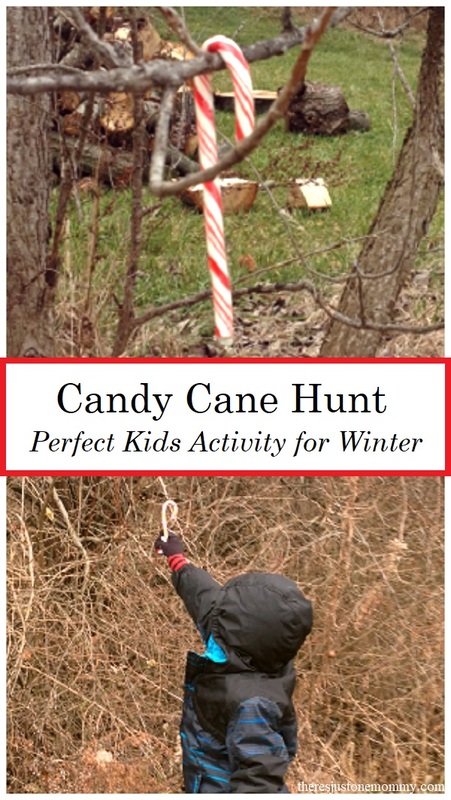 Having a candy cane scavenger hunt is a fun kids Christmas activity for all ages. Affiliate links have been used below. Want to have your own candy cane hunt? Grab some candy canes, and get ready to watch the kids have a blast. 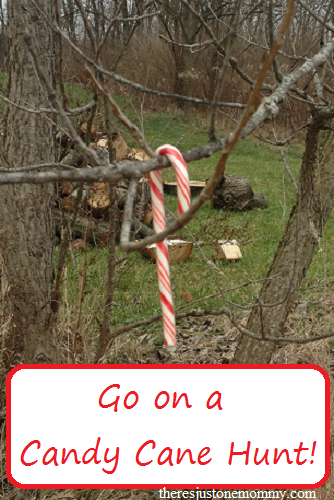 You can use plastic candy cane ornaments or real candy canes for your hunt. We used a mix of the two. Red and white pipe cleaners twisted together can make quick and easy candy canes for this activity as well. And, the kids will have fun helping to make them. 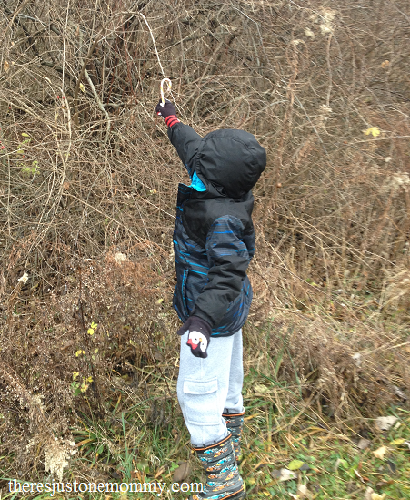 Head outdoors to hide the candy canes, hanging them from various tree limbs and shrubs. You might even want to surprise them with a few super big candy canes. If the weather isn’t cooperating, you can hide the candy canes indoors. Going on a candy cane hunt is a fun activity when you’re stuck inside in the winter. Once you’ve hidden the candy canes, it’s time for the scavenger hunt! It is truly magical watching kids race to find candy canes that are hidden among the otherwise barren branches. Now, grab those candy canes and get ready to hear some excited giggles! Having a candy cane hunt is the funnest candy cane activity around. Subscribe to our newsletter and receive a FREE printable Christmas Scavenger Hunt. Updated post. Originally published December 16, 2015. It has been unusually warm here, too. This gave us a chance to get outside and have a bit of fun! 🙂 Those elves always have the best ideas!